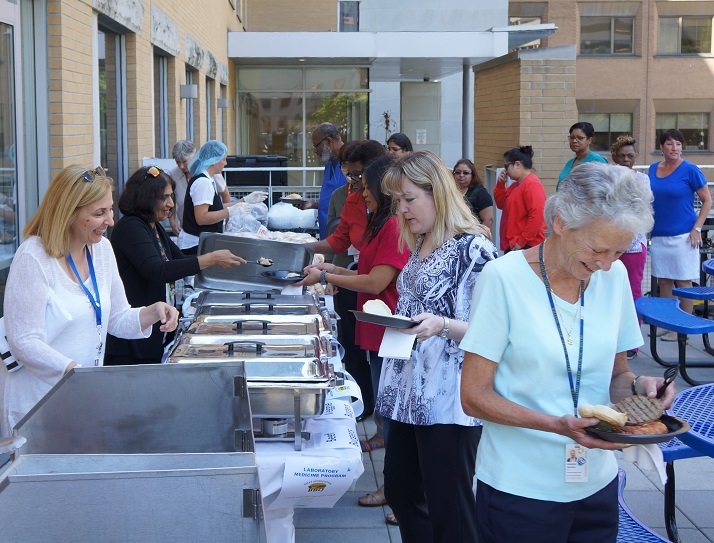 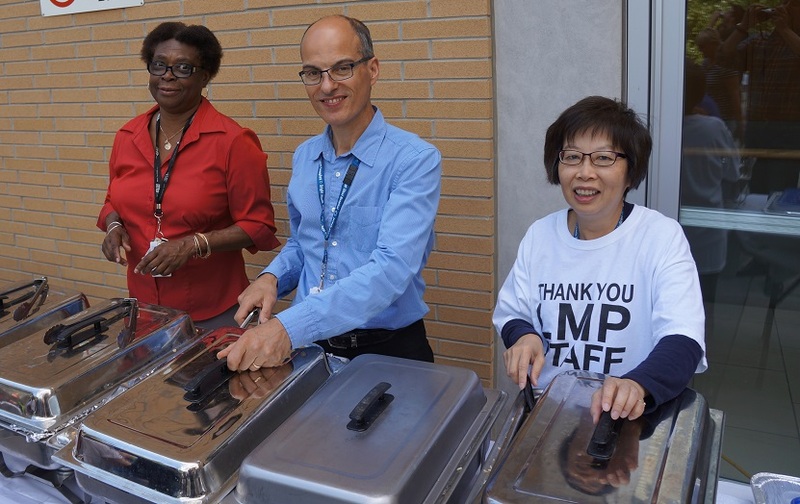 Yesterday was the annual Laboratory Medicine Program (LMP) Staff Appreciation BBQ, held outside the R. Fraser Elliot building. 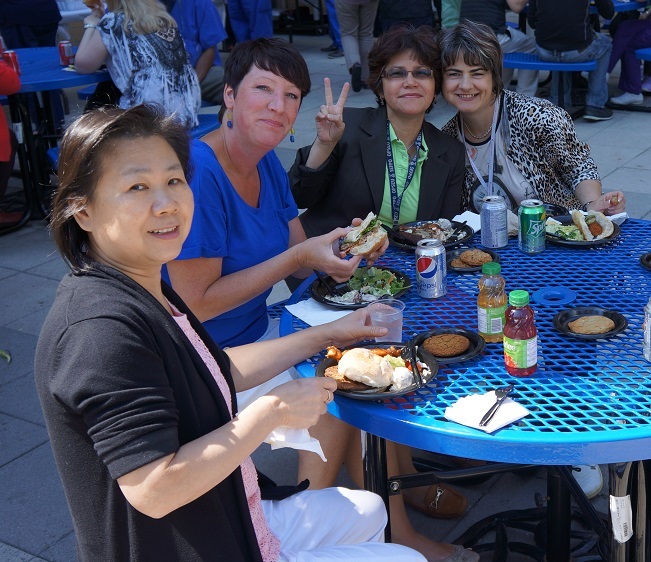 The weather was beautiful, the food was great, and the music even had a couple of people dancing. 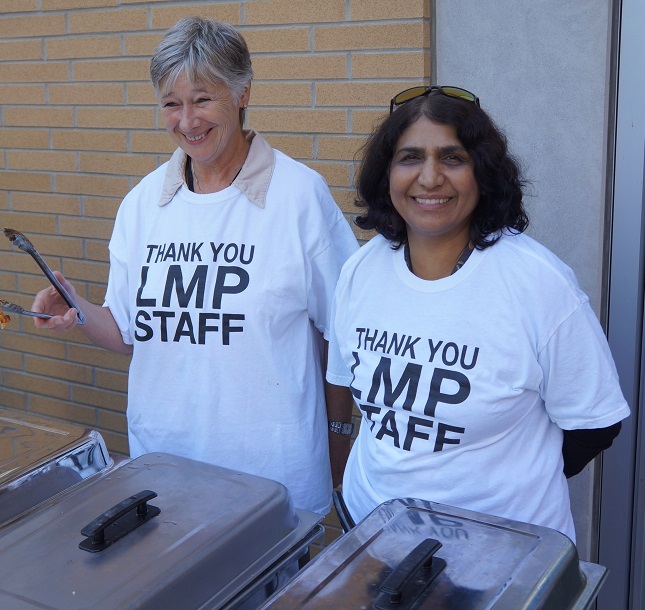 LMP managers, supervisors, and volunteers served close to 350 staff members throughout the afternoon, and everyone seemed pretty happy enjoying a burger fresh off the grill. 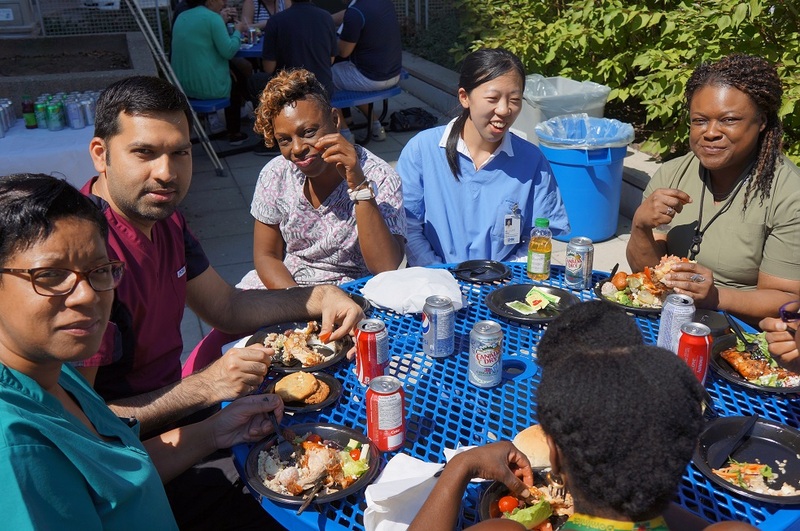 Overall it was another successful BBQ for LMP, and to make matters even better, the winners were announced for the Laboratory Medicine Leadership Awards. 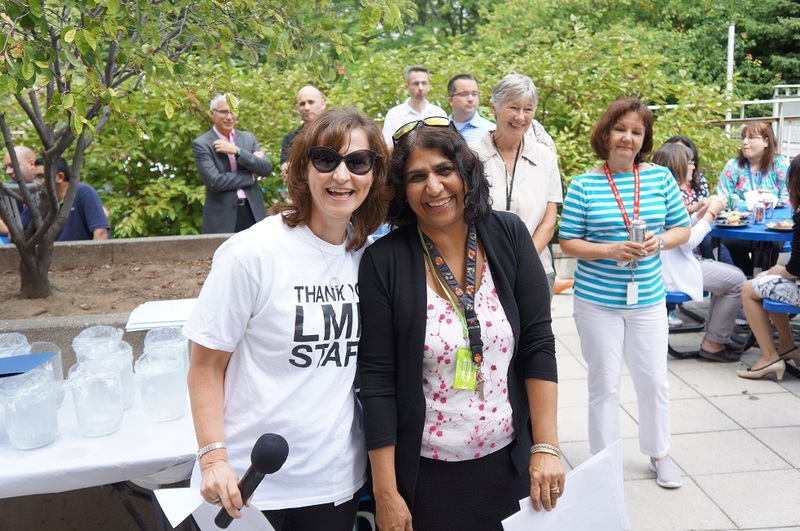 Selene was nominated by 14 of her colleagues! 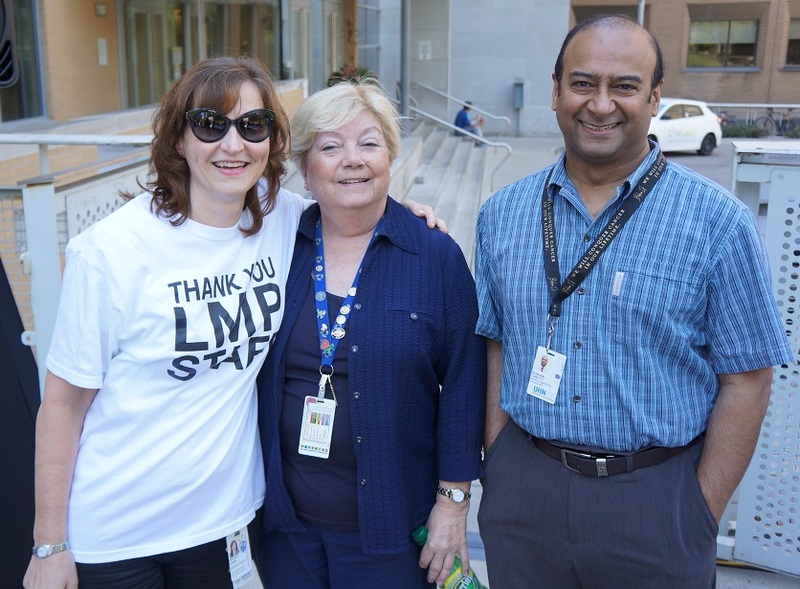 Denise was nominated with a touching letter from Diana Jalbert, also a technician in Specimen Management. 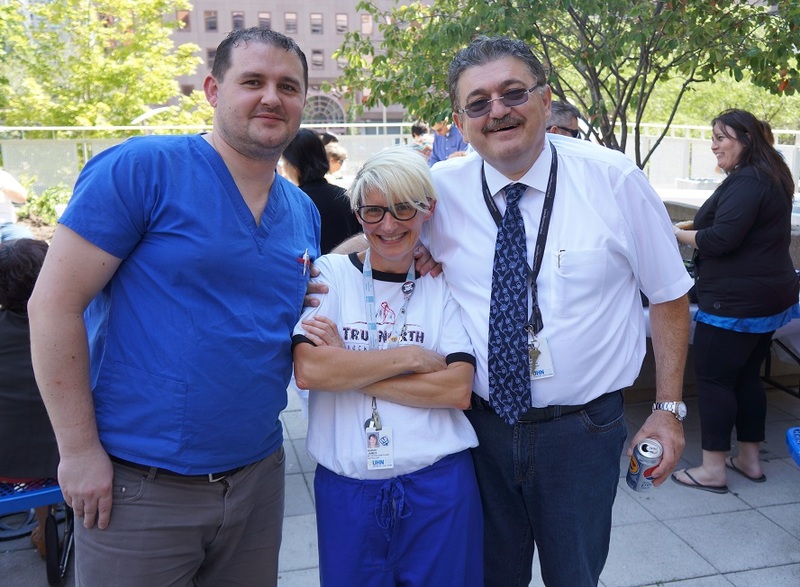 Patsy was nominated by 17 of her colleagues! 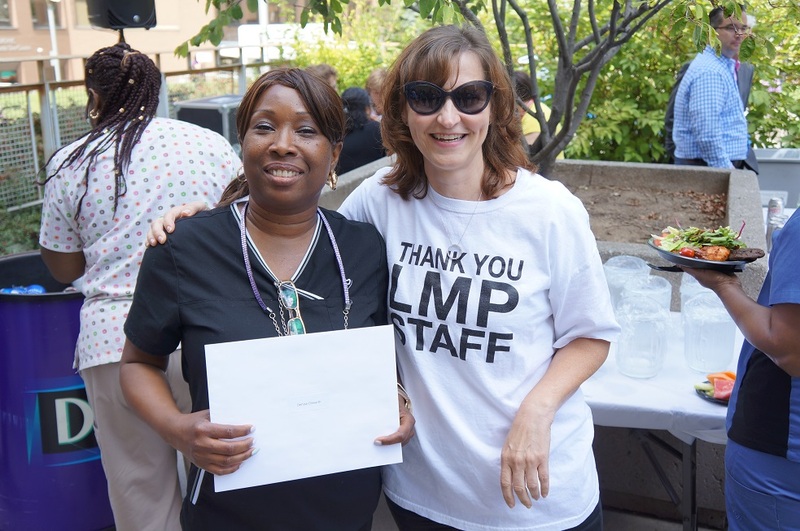 “Patsy has been a dedicated employee for more than 30 years! 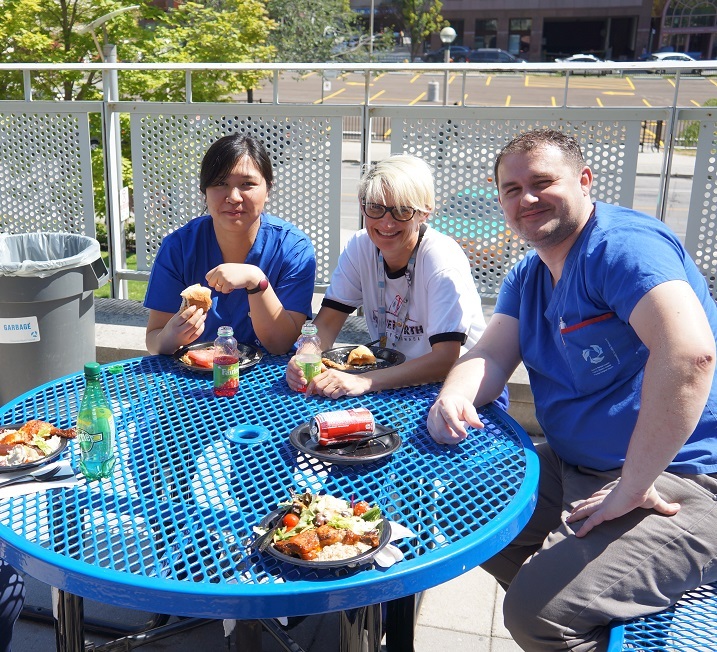 [She] is always willing to help out new staff and include them in activities going on in the hospital or department… She took the time to make sure we were trained properly and she is always available for me to ask any questions. 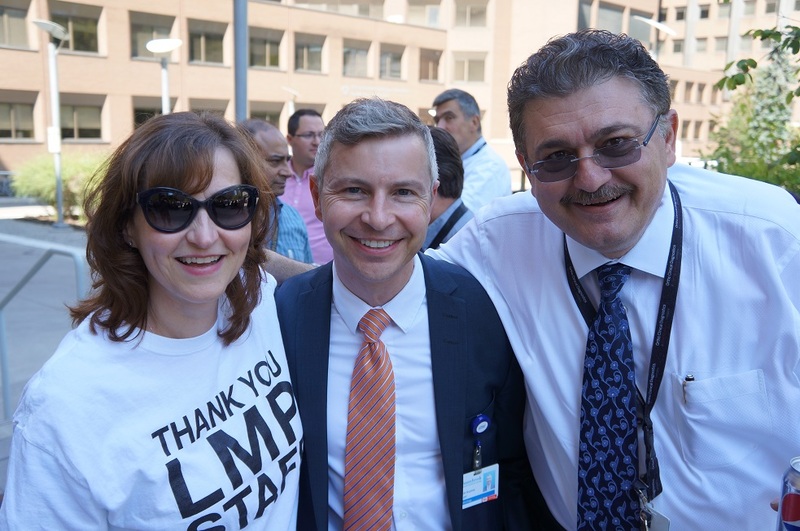 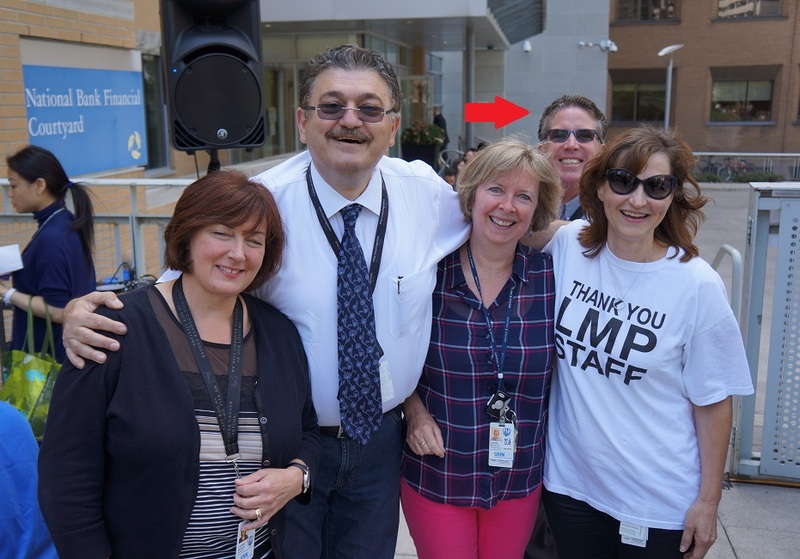 See below for more photos of the LMP Staff Appreciation BBQ, including a photobomb and a little bit of dancing! 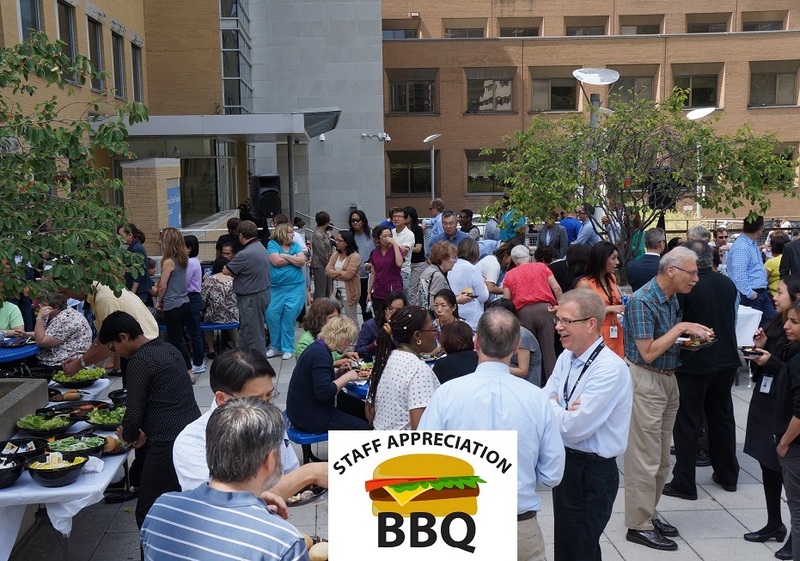 Thanks to all who attended and made the BBQ a great success! 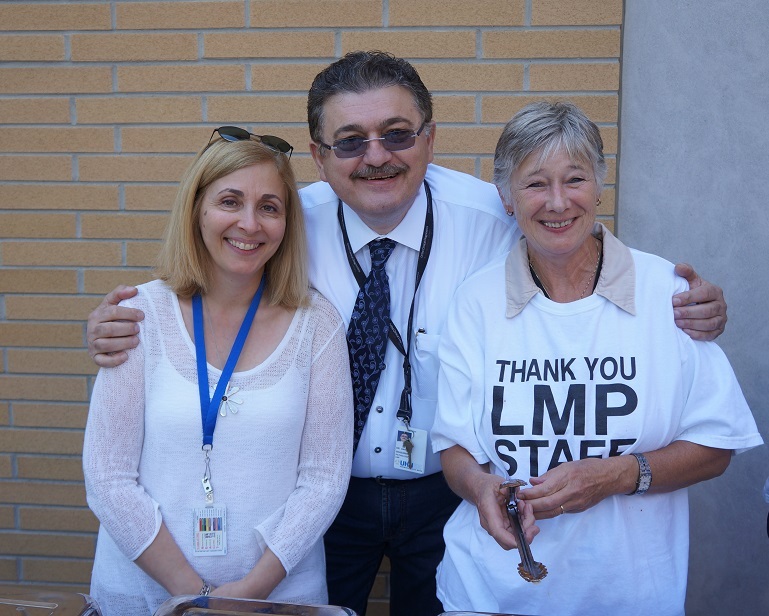 And a special thank you to Linda Karkada and the BBQ planning committee, as well as everyone else who volunteered their time!